Living in Pontiac, IL, for many years, this picture played itself out every spring. A mother duck led her ducklings across a busy street. She would look back and quack to her ducklings to keep going. Those little ducks trusted her voice. She knew them, and they knew her. Whom can we trust? There is only one and His name is Jesus. 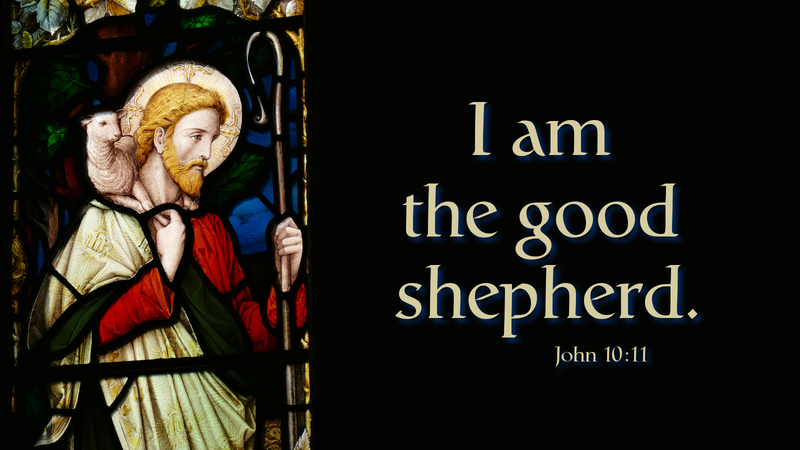 He profess to us that He is the Good Shepherd. John captures the essence of Jesus that promises to be with us, to nurture us, and to feed us with love and a firm voice. Ultimately, He laid down His life for us. Jesus comes and gives Himself away to bring us to God. Jesus gives us hope and restores us to the Father. That is a voice we can listen to and follow anywhere. Listen; He is calling you. Prayer: Good Shepherd, help me to trust and follow you into safe and abundant pastures of love and grace. Amen. Today’s devotion was written by Dieter Punt, Pastor of Holy Trinity Lutheran Church in Troutman, NC.